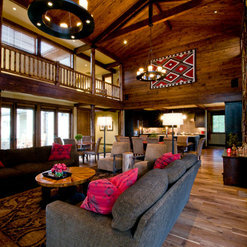 Rockwood Design Associates is a full service Architectural and Interior Design firm. 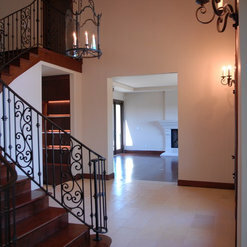 We offer services for New construction, Remodeling, Interior Design and Landscape Design. We also offer Pre-Project services for those Clients who are not quite sure of their options for development due to zoning restrictions. We have completed projects across the Bay Area and Lake Tahoe and have an impressive list of consultants to recommend to our clientele to ensure an energetic design and building process. 19 Projects for Rockwood Design Associates, Inc.
We’ve worked with Lorena on a few projects so far. 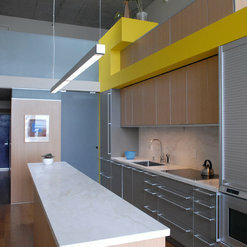 Our company provided hew clients with the custom cabinetry for kitchens, bathrooms and other rooms. Lorena is a delightful person and a great proffesional. She has a good eye and many great and unique ideas. We loved working with her and are looking forward to work with Rockwood Design in the future! 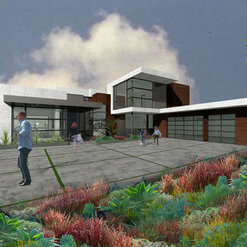 We hired Adam and Lorena to design 3 bathrooms, a large kitchen, and a living room area for our contemporary style home. This renovation project included redesigning the use of the existing footprint, removing interior walls to create larger open spaces and the installation of a 3-section sliding glass door to connect the main living area to the backyard and pool. At every phase, they presented options that we had never considered which added tremendous value to the renovation. Their relationships with vendors and general contractors helped with execution in a very tight market. When issues came up during construction, Adam stepped in to find workable solutions. Rockwood Design created a plan for our house addition (550 sq ft) plus an open concept design in the current home, and a kitchen remodel. 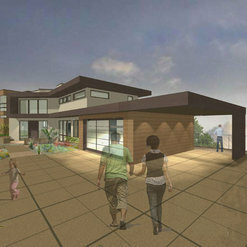 We had waited 10 years to embark on this design - our original home was a 964 sq ft 2/1 Spanish Mission home from 1936. It was important to me that the home looked like a modern version of a period home. Rockwood delivered!! We fit so much into the new design! A nook that served as a 10 ft office area with window, inside access to our basement, a built-in library, and a modern master bedroom with a japanese sitting tub! I live my new home!!! We had a fantastic experience working with Rockwood Design Associates. Adam and Lorena are incredibly innovative and creative and their contemporary style is clean and fresh but also livable and warm. We were always excited to see their concepts and hear their enthusiasm when they explained all the details. They love what they do and it shows. They have experience in all aspects from planning and working with the city/county to the very last finishing touches which makes the whole process smooth. We always felt like we were in good hands. Seeing our project come to life was so much fun. 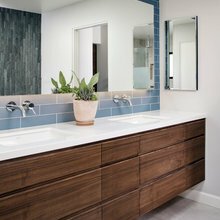 We love how our remodel turned out and would use them again without hesitation. I first met Rockwood Design at a project in Los Altos where they were the designer/architects for a "phase 2" project including a whole exterior house remodel. I wasn't the contractor for phase 1 but I recognized the unique and tasteful design aspects Rockwood Design implemented for that phase. During Phase 2 for the exterior Adam and Lorena weren't afraid to be different in architectural features from all the other houses in the neighborhood. 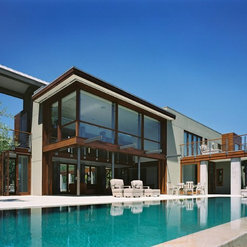 Their ideas were uncommon and realistic, which challenged us the builders and gave the clients exciting expectations. During the process we had a few unexpected surprises, which every job has, and Adam and Lorena were very responsive and accommodating to the problems and our schedule. 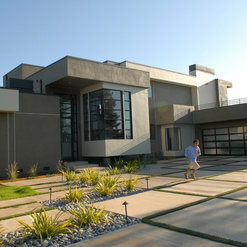 When we finished the huge exterior renovation our clients house definitely stood out as a contemporary masterpiece! The house finished so nicely that the homeowners next wanted to redesign their front yard, which Rockwood Design also drew the plans and design details for. Once we completed the new front yard design I saw the value of of Adam and Lorena's ideas and visions and appreciated the unrivaled experience throughout the year long construction process. Bottom Line- Rockwood Design is a very personable and professional company with a very contemporary and modern aspect of architectural design, and the only Architects I've ever worked with who implement most of their designs around this type of business motto. 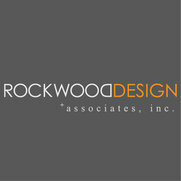 I look forward to working with Rockwood Design in the future. It is always a pleasure to work with Rockwood Design Associates. We have worked with them on several projects over the years and always enjoy the interactive design process between the architect and us, the structural engineer. 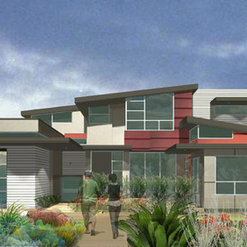 We've seen them create and transform some amazing residences along the landscape of the San Francisco Bay Area. Adam and Lorena worked with us for over four years. We took our time to design our dream home, and then they handheld the team through construction. The result is an amazing, unique, comfortable home that fits our site, our family and our aesthetic perfectly. We are thrilled to be living here finally. 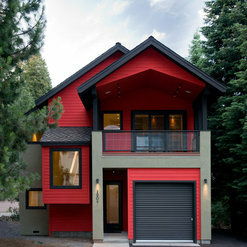 Pics to follow soon, but feel free to ask Rockwood for a tour if you're looking to build a modern custom home. Adam and Lorena are amazing. They listened carefully to my needs, paid attention to style preferences that I couldn't always articulate well and came up with a fantastic design solution. The project involved a complete redesign of a loft apartment, and the result greatly exceeded my expectations; it's a modern and elegant space that works great with my collection of mid-century art and furniture without being a cliche. I couldn't have achieved this without their help. Importantly, they helped me think about options I wouldn't have considered and struck the right balance between encouraging me to think about daring and exciting options and respecting my own ideas, which were probably fairly conservative. In terms of utility and useability, the project greatly exceeded my expectations. I cook a lot and the kitchen gets a great workout. It's a joy to work in, and the rest of the space is fantastic for entertaining. Execution was great too. They both have great attention to detail and focused on ensuring that their clients are informed about progress and status and happy with the results. On several occasions, Adam noticed issues with the contractor's execution that I either didn't see or didn't think I should care about; Adam saw that that they were corrected. Adam and Lorena were also amazing in working through the issues that always arise. They consistently come up with creative solutions that improve on the original design. After living in this space for years, I still step back and am thrilled about how beautiful the space is. (The "wow" I get when someone walks in is pretty nice ego booster too.) On top it all, they made the whole process fun and exciting. They are a great team that I would recommend them to anyone. 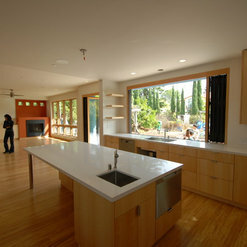 Total remodel, very contemporary. Excellent color selections(use the wife). We have the coolest master bathroom in Saratoga. Great cabinets and beautiful wood coordination. all in all - great job. We are working with Adam and Lorena on addition and remodelling project in our house. Lorena and Adam are a fabulous team. Lorena is very creative. We are planning to add a guest suite and a multi-purpose (large) room on the first floor as well as another room on the second floor. She came up with the designs very quickly while also matching our requirements. She was also willing to keep perfecting the design till we were completely happy. Adam was also very informative about the city permits/laws and has been able to keep our project moving at a good pace. They are also very understanding of our budget constraints and willing to work within our limits. Overall, it has been a great experience with them so far. Look forward to completing the project and posting the pics. We had worked with Rockwood Design before and did not hesitate returning to them again for this most recent project. This was a challenging building with city restrictions of 1200 sq. st. and lots of items on our wish list. Adam and Lorena came up with a very creative solution and we are more than happy with the results. They were attentive to details, good to work with, and are always still responsive to any questions we have. We've been working with them for the last year and a half to design the new home that we're building from the ground up. 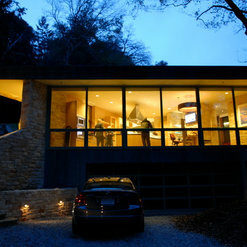 Before we hired them, we had seen one of their contemporary homes and were really happy with it. 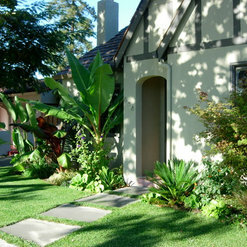 The home was clean and modern, but was also warm and "normal" where a family with two kids could live very comfortably. The company is run by a husband and wife who are both architects. While one focuses more on the design and the other on the coordination, they contribute jointly to all aspects and bring so much more to the table as a couple. They also provide complete interior elevations, interior design, as well as consultation and help during the entire construction process. It was very helpful that they went with us to showrooms and helped us shortlist products for plumbing, tiles, etc. We've been lucky that they understand our tastes and are able to quickly identify options that work for us. One of the things I loved was their use of BIMX on my tablet and Mac to do 3D walk-throughs. Having this on my tablet to play with really helped me feel comfortable visualizing the design before we submitted to the city. For me this was a big differentiator compared to many other architects I spoke with. We'd had a very pleasant experience interacting with them so far and would highly recommend them to anyone looking for an architect! 7 Ideabooks for Rockwood Design Associates, Inc. Commented: Your design is great! What are the pavers?Italian limestone, thanks! 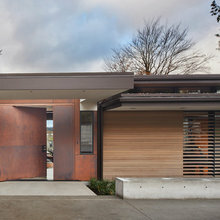 Commented: Love the wood siding, what is the product you used?Honduran Mahogany! Thanks!